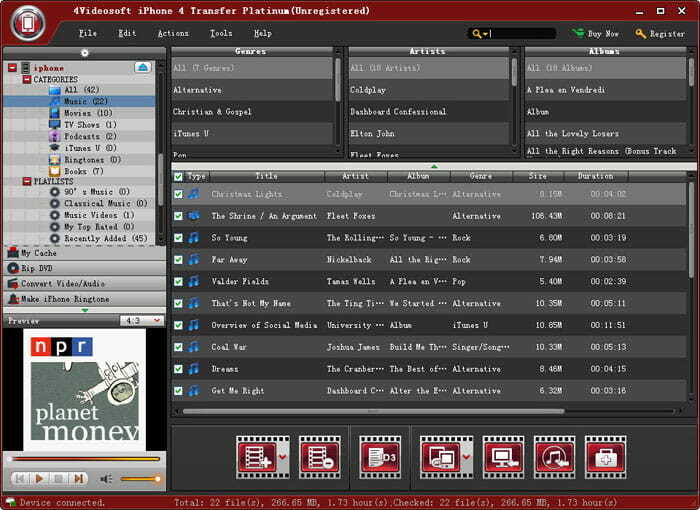 4Videosoft iPhone 4 Transfer Platinum can transfer music, movie, photos, Camera Roll, ringtone, camera shot from iPhone 4 to computer and from computer to iPhone 4. It also can transfer TV shows, Podcast, iTunes U, voice memos, eBooks, SMS, etc. The first teleprompter for the Multimedia PC.